Wake up to the ocean at your door at this resort, which is located by the ocean and set on the beach. 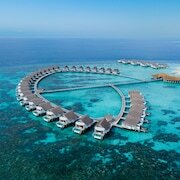 Situated in Vilamendhoo Island, this resort is 0.1 mi (0.1 km) from Villingilivaru Island Pier. 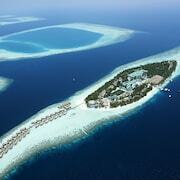 Situated in Dhidhoofinolhu Island, this luxury resort is close to Dhidhoofinolhu Marina. 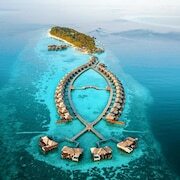 Area attractions also include Dhigurah Beach and Manta Point. 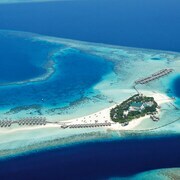 Nestled on the beach, this Huvahendhoo resort is just steps away from Ranveli Beach and Villingilivaru Island Pier. Dhangethi Beach is 0.2 mi (0.4 km) away. 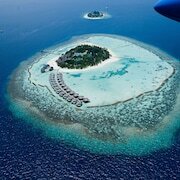 Within easy reach of Himendhoo Thila, this Moofushi Island resort is nestled on the beach. Regional attractions also include Ari Atoll and Malhoss Thila. Nestled on the beach, this Vakaru hotel is just steps away from Vakarufalhi Beach and Manta Point. Within easy reach of Manta Point and Dhigurah Beach, this Kuda Rah resort is nestled on its own private beach. Excellent island style customer service. The island exceeded our expectations, it felt like our very own private island. Visitors to Rangali Island are sure to enjoy the restaurants. Tourists can also enjoy the city's beaches and spas. There are 38 hotels and other accommodation options in the surrounding area.